As part of the Northeastern Oregon SEM cohort, J&J and other manufacturers have been meeting monthly with Energy Trust’s technical experts to focus on behavioral changes and no- or low-cost operations and maintenance improvements that deliver significant and persistent energy savings. J&J formed an energy team with representatives from throughout the plant and set a goal to reduce electricity by 5 percent, or 225,000 kilowatt-hours, per year. “We’re on target to almost double that,” said Boyer. 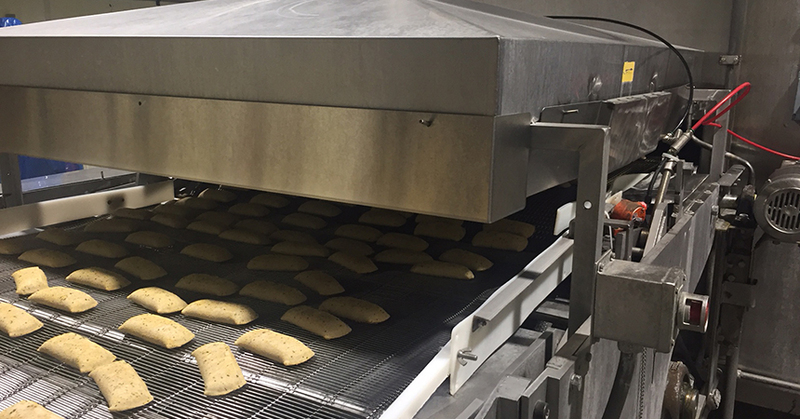 The plant’s 400º F cooking ovens offered additional operations and maintenance savings. J&J replaced latches and high-temperature seals on the oven doors and added special skirting to keep in the heat. “That’s been a big win because we not only save energy, but keep the plant more comfortable for employees,” said Boyer. SEM also helped J&J rethink processes it has been doing for years, such as using compressed air to create compressed fiber board slip sheets for use on all its pallets. 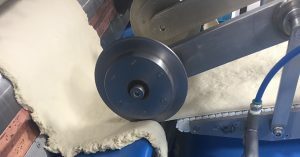 Gerard Law, vice president of operations, questioned why that was standard practice when only about 80 percent of products require a slip sheet. The answer: “We’ve always done it that way.” As a result, J&J cut down on its use of slip sheets, delivering even more compressed air savings.